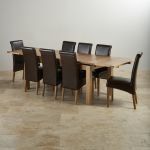 The expertly crafted Dorset Extending Dining table made entirely of Oak. 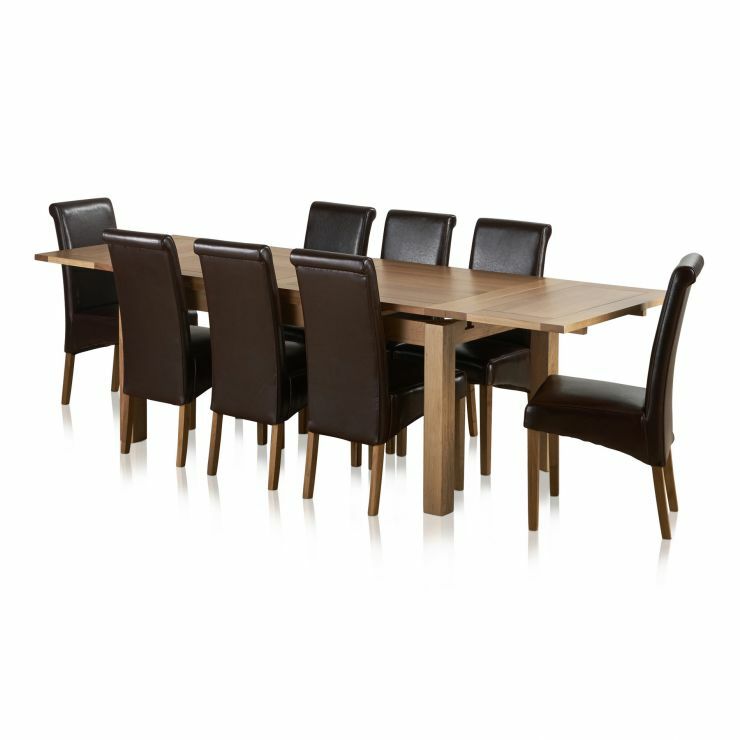 This Dining table when extended, can seat up to 10 people comfortably. The beauty of this table comes from displaying the light wood grain in its simplest raw form as the timbers exude their natural beauty. It is designed with practicality in mind. It features an extending leaf at each end that simply pulls out and slots into place. Once the extensions are no longer required, they simply retract. 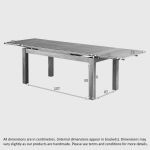 There's no need to find a place to keep the extensions as they store neatly within the table frame. 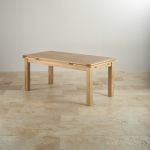 The table top and leaves are crafted from thick cuts of premium grade oak, giving each piece a robust and solid feel. 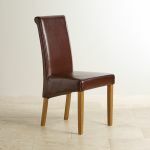 Fantastic leather dining chair in dark brown real leather, real oak legs. Scroll back seat for extra comfort. 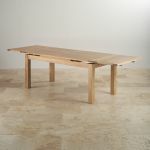 The oak legs will complement all our oak pieces; a must for the true oak / leather connoisseur. 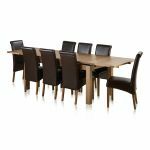 The dining chairs and dining table are also available separately, but by purchasing them as a dining set you get a further discount, making this exceptional value for money. 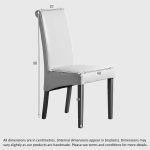 To change your chair please hit the 'customise' tab to see further options or ring the sales line on 0844 977 3300. In order to maintain the magnificent look that only Oak can give, simply treat with Furniture Wax 3-4 times a year. We also recommend our leather care kit for keeping your leather dining chairs in top notch condition. This set is comprised of 5 boxes.